Just over a year removed from releasing The Autobiography, Vic Mensa has returned with a new single. 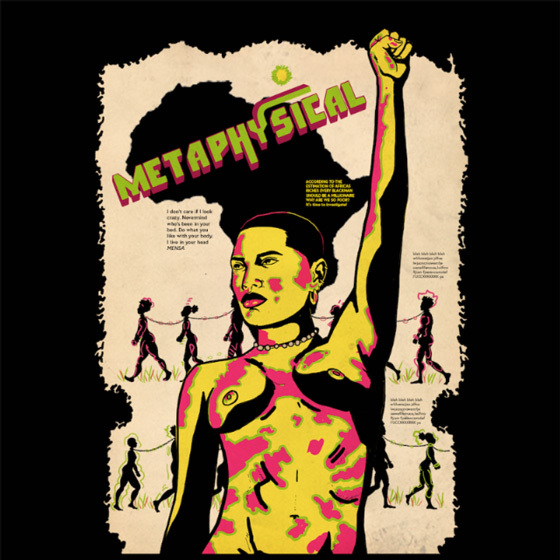 Titled "Metaphysical," Mensa's latest finds him experimenting with new sounds. "This is a song about desire. Admiration. Respect. Uncertainty. Surrender," he said in a statement. "Musically it's African, tribal. My father is Ghanian so I've wanted to take it there for a long time." You can hear "Metaphysical" in the player below. The track was produced by Stefan Ponce and Papi Beatz, with the former having produced Mensa's 2016 single "Down On My Luck." Mensa was recently announced as a guest on Tom Morello's forthcoming solo LP. He's also recently teamed up with G-Eazy and Marshmello.